Welcome to the Ubuntu Weekly Newsletter, Issue 218 for the month of December 2010. 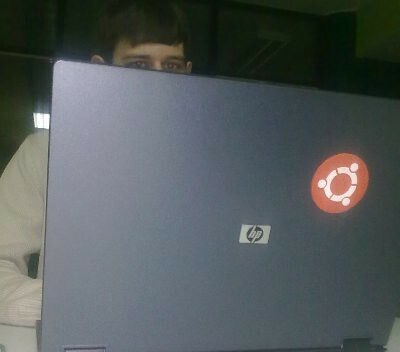 We are pleased to announce that the next Ubuntu User Days (https://wiki.ubuntu.com/UserDays) event is scheduled to take place from Saturday January 29th 2011, 09:45 UTC until Sunday January 30th 2011, 03:00 UTC. To quote the wiki page, "User Days was created to be a set of courses offered during a one day period to teach the beginning or intermediate Ubuntu user the basics to get them started with Ubuntu". Logs (https://wiki.ubuntu.com/UserDaysTeam/lucid) from the last Ubuntu User Days event are also available for anyone who might be interested. In order for this event to be a success, we need lots of help leading sessions. To volunteer to lead a session, you can contact a member of the Ubuntu User Days Team (https://launchpad.net/~ubuntu-user-days/+members) by sending an email to theubuntu-classroom at lists.ubuntu.com mailing list or on IRC by stopping by #ubuntu-classroom-backstage on irc.freenode.net. If you are unsure of a topic for your session, you can use the Course Suggestions wiki page (https://wiki.ubuntu.com/UserDaysTeam/CourseSuggestions) as a reference. Please be sure to pass this information along to any of your friends who might be interested in either participating or leading a session. Jason is the lead developer of Novacut Distributed Video Editor, with which he seeks to make Ubuntu premier platform for professional video production. He helped shoot the HD video and led a session on Distributed Media Library at UDS-N. He has been a Debian user since 2000 and started using Ubuntu around the 3rd release, he was also an early adopter of launchpad and bzr for project management. Congratulations and welcome to this new member! Michael Hall also applied for edubuntu-dev status, which allows uploading to the Edubuntu package set. Michael received 4 votes in favour and is now an official Edubuntu Developer. Thanks to both members for their involvment and we look forward to their continued contributions! Located at cloud.ubuntu.com, the Ubuntu Cloud Portal "helps new-comers to the Ubuntu cloud community quickly find interesting information they may care about such as documentation to read/edit, projects that may interest them and so on. In this first release the following is available." I am pleased to announce that the Ubuntu IRC Council is now ready to start accepting applications for Ubuntu IRC Membership (https://launchpad.net/~ubuntu-irc-members). The Ubuntu IRC Members team represents the people who have made a significant contribution to Ubuntu through the IRC medium. Applications to join this team are done through a process (https://wiki.ubuntu.com/IRC/Membership#Preparing%20your%20application) very similar to what you might go through (https://wiki.ubuntu.com/Membership#Procedure%20for%20Obtaining%20Membership) to acquire membership from any other board or council in the community. Please remember, Ubuntu IRC Membership is a way for people to acquire Ubuntu Membership for IRC contributions. Some examples of what these might include are available on the wiki (https://wiki.ubuntu.com/IRC/Membership#IRC%20Specific%20Contributions). For more general contributions, you should apply through a Regional Membership Board (https://wiki.ubuntu.com/Membership/RegionalBoards). By becoming an Ubuntu IRC Member, you gain all of the benefits (https://wiki.ubuntu.com/Membership#Benefits%20of%20Membership) granted by normal Ubuntu Membership as well as the privilege of voting in various polls of the Ubuntu IRC community by becoming a member of the ~ubuntu-irc-members team on Launchpad. This includes voting for members of the Ubuntu IRC Council. If you have any questions about Ubuntu IRC Membership, please feel free to contact a member of the Ubuntu IRC Council (https://launchpad.net/~ubuntu-irc-council). Additional ISOs and torrents are also available. In a series of posts, Nizar Kerkeni discusses the National Conference on Open Source Software in Tunisia on December 15th 2010. His posts also include photos and videos of the event. Elizabeth Krumbach, one of the leadership trio of the Ubuntu California team, talks about the process of creation and launch of the team's new website and ideas for additional components that the team wants to include moving forward. The Launchpad team announces the removal of team polls, citing problematic user interface and feature set, and lack of popularity (only 500 polls since inception in 2006). From today, all Launchpad bugs, code, questions and blueprints are tracked under the onelaunchpad project. We’ve already moved everything from the individual projects over to the parent launchpadproject. All you need do differently is search/file bugs, questions and blueprints under thatparent Launchpad project, rather than Rosetta, for example. Don’t worry, though, there are redirects in place so that old links will still work. Update your bug subscriptions: if you’re subscribed to individual bugs, you need do nothing. If you’re subscribed to all bugs for a particular project, Malone for example, you’ll now need to subscribe to all Launchpad bugs. Check your answer contact status: if you’re an answer contact for one particular application in Launchpad, and want to continue as such, you’ll need to become an answer contact for all of Launchpad. To start with, bugs that we’ve merged in from one of the old sub-projects will have a tag that shows which project it came from. However, we’re planning to drop those tags once everyone’s settled into using just the one project. Our code hosting won’t change at all as we’ve always hosted code under the parent Launchpad project. This new approach will better reflect that Launchpad is one codebase but will also have a big practical benefit: it’ll be easier to find bugs and dupes because everything will be under the same project. Alan Pope has a new server and a household with several Ubuntu systems. In addition to keeping these all updated, in the course of testing he is required to re-download the same packages as he tests different install methods. He discusses his use of the squid-deb-proxy package to cache Ubuntu package downloads, speeding up testing and putting less stress on the repositories. In a guest post by Conor Curran on Jorge Castro's blog, he discusses his role as Sound Architect on the DX team within Canonical, and the future of the Indicator Sound, the indicator which sits on the top panel of the Ubuntu desktop. David Planella has written a series of posts discussing the progress of the translations plans in Natty. In the first he talks about the launch of Translations Stories where they'd "like to show how translations change people’s lives for the best, and how the work of translators has an impact on that. We’d like to share our excitement and highlight the awesome work translators do, and we thought that articles with translations stories would be the perfect vehicle for that." He also discusses the steps you can take to contribute. In the second he announces Translations Training Sessions. They wish to hold "a series of regular events where translators can just attend and learn, in a hands-on way, all the different aspects of translating our favourite distro. There, they should also be able to ask their questions and discuss any topics related to translations. Another goal is to also provide material for all teams to adapt and reuse for their own training events for new translators"
In the third he announces the the Ubuntu Translations Portal inital test deployment. "The idea behind the portal is to aggregate all existing content and to be the main entry point to the translations community for new contributors, providing them answers, inspiration and excitement. For experienced translators it will be a central point for resources and news about translating Ubuntu." His post gives step by step instructions on how to contribute. The Ubuntu Screencasts team has released their latest screen cast - this time walking users through how to sign the Ubuntu Code of Conduct. "This screencast goes through the steps of signing the Ubuntu Code of Conduct. This is often some ones first time to use a key, so this screencast will take you through the whole process from creating the PGP Key to signing the Ubuntu Code of Conduct." Jono Bacon has been working hard to make the transition to Unity a smooth, painless and providing the best user experience possible. He highlights some of the great work that has already been done within the community and explains how you can help out with bug fixing, testing, design and translations. David Planella reports that Unity is available in more than 60 languages, but there are about 150 translation teams, in this post he explains how you can contribute to translations in your own language. Jorge Castro introduces contributor Stefano Candori, talks about some of the most interesting "bitesize" Unity bugs and explains how you can get involved fixing bitesize bugs. John Baer showcases some of the exceptional Edubuntu desktop wallpaper submissions. Amber Graner writes that in a post to the ubuntu-devel-announce list, Ubuntu developer Colin Watson announced that the daily PlayStation 3 CD builds have ceased. Reasons cited included changes by Sony which make it more difficult to run Ubuntu on newer systems and lack of developers to keep up with having the builds working properly. Paul Tagliamonte has written a series of blog entries he calls "Myth Busted" to highlight some of the myths surrounding Ubuntu and the Ubuntu community. As a part of the Ubuntu Translations Interviews, this interview features André Gondim, the Brazilian Portuguese translation team coordinator. On November 22nd Ahmed Kamal announced that they were looking for volunteers to help create a series of Ubuntu Cloud Screencasts. Design Museum London has asked Bruno Maag from Dalton Maag, the firm which designed the new Ubuntu font to put on an exhibition of his work. In collaboration with the Canonical design team, "the exhibition will be in two parts a substantial part of which will be featuring the Ubuntu font." Full Circle - the independent magazine for the Ubuntu Linux community are proud to announce the release of our forty-fourth issue. How-To : Program in Python - Part 18, Backup With Wubi and Link Shortening with Phurl. Top 5 - BitTorrent Clients. Full Circle - the independent magazine for the Ubuntu Linux community are proud to announce the release of our forty-third issue. How-To : Program in Python - Part 17, Virtualize Part 6 - Debian & Xen, and Editing Photos With Raw Therapee. Review - Conky & Untangle. Top 5 - Backup Ideas. Laura Cowen, Ciemon Dunville, Mark Johnson, Alan Pope and Tony Whitmore get together for the last episode of season 3 of the Ubuntu Podcast from the UK LoCo Team! We talk about what we’ve been doing including playing with Diaspora, desktop coding with QT Quick, changing passwords after the Gawker hack, taking the ITIL exam, having characters in Doctor Who The Four Doctors named after us and geeking out with MQTT. We review our predictions for 2010 from last year, and make new ones for the year ahead. The Ubuntu UK Podcast Players perform a special version of “Jack and the Beanstalk”. In this episode, Narwhals, Wayland and… I almost forgot, Amnesia. With hosts Robin Catling, Ed Hewitt and Dave Wilkins. On November 24th Daniel Holbach announced the launch of a series of ustream videos he'd be doing about Ubuntu Development. The past vidoes are now available for viewing, stay tuned for more! David Planella has launched a ustream.tv series covering translations, he says " I'll be talking about how Ubuntu is translated, how translation teams work, and whatever else time allows. On later shows I'll focus in more detail on particular subjects (upstreams, best practices, etc. – I'll also take requests!)." Further discussion on how to proceed with Marco's request. Deferred without any decision to the next meeting. Discussed delegation, mailing list responsiveness, and related items. Council admits slowness. Michael Vogt confirmed that extras.ubuntu.com is a mirror of a PPA owned by the ARB, which means that ubuntu-archive will have no direct interaction with it as it stands. The TB voted in favour of Brian's proposal. Martin noted that bug targeting needs to be more open than just release managers (Brian's proposal asks that it shouldn't exclude uploaders). There was no disagreement. The main goal here is to separate the blueprint and bug permissions currently aggregated into ubuntu-drivers. General consensus seems to be that we can drop the seven-day waiting period on promotion to -updates for chromium-browser, but should not drop -proposed and some kind of verification. While this still seems too immature for main, the security team will need to treat it essentially like the non-free Flash plugin: it's universe and therefore theoretically unsupported by the security team, but in practice we know lots of people use it and act accordingly, running updates through all the usual checklists. Regressions on individual web pages and such won't merit a USN, though. Jamie says that qa-regression-testing has a semi-automatic script which should catch any huge issues here. The board is currently awaiting a proposal from the principal uploader, Fabien Tassin, and a formal vote will wait for that. First of several Efika MX Smarttop systems (armel), donated through powerdeveloper.org, for Kubuntu development is operational and available to kubuntu-dev for porting work. Shadeslayer and Agateau gave well-received lightning talks. Still squashing bugs. This will be an on-going process. We tested Maverick Meerkat Release Candidate with good results. We released Xubuntu 10.10 on time. Inclusion of Xfce 4.7.x (future 4.8) is being worked on in natty. Charlie is working with the Ubuntu Artwork Team to draw a specification for xubuntu artwork in Natty Narwhal. 29 October - 1Help=1Coffee (http://ubuntu-ast.org/?q=es/node/75) & μCourses (http://ubuntu-ast.org/?q=es/node/73). Picture (http://farm5.static.flickr.com/4056/5127725993_32fd53c3b8.jpg). 22 October - 1Help=1Coffee (http://ubuntu-ast.org/?q=es/node/75) & μCourses (http://ubuntu-ast.org/?q=es/node/73). Picture (http://farm2.static.flickr.com/1060/5110644499_63ed931e4e_z.jpg). 15 October - 1Help=1Coffee (http://ubuntu-ast.org/?q=es/node/75) & μCourses (http://ubuntu-ast.org/?q=es/node/73). Picture (http://farm5.static.flickr.com/4089/5090823004_0242157672_z.jpg). 10 October - Release Party (http://ubuntu-ast.org/?q=es/node/124) Ubuntu 10.10!. Pictures (http://ubuntu-ast.org/?q=es/node/129). 8 October - 1Help=1Coffee (http://ubuntu-ast.org/?q=es/node/75) & μCourses (http://ubuntu-ast.org/?q=es/node/73). Picture (http://farm5.static.flickr.com/4034/5078955876_8014d059e7_z.jpg). 1 October - 1Help=1Coffee (http://ubuntu-ast.org/?q=es/node/75) & μCourses (http://ubuntu-ast.org/?q=es/node/73). Picture (http://farm5.static.flickr.com/4065/5078955874_317c4214bc_z.jpg). October 17th: install fest @ the offices of De Wereld Morgen (http://www.dewereldmorgen.be/artikels/2010/10/10/ubuntu-release-party-installeer-ubuntu-linux-op-je-computer) (social news site). Thanks folks! Also photos (http://www.flickr.com/photos/28510886@N04/sets/72157625183290868/). The new site layout based on the new Ubuntu branding is being tested on the "staging" server now. Preparing for demo/talk @ Zeus computer club of UGent (Ghent University). October 10th: announce for inscriptions to Maverick release party. 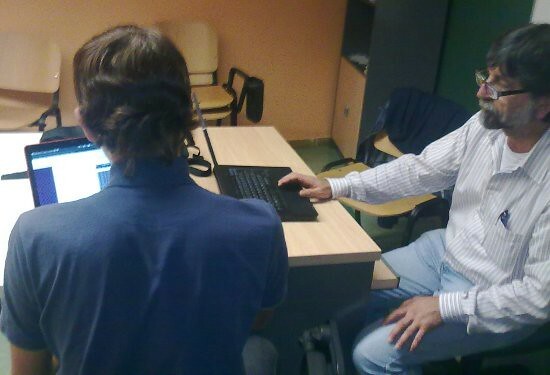 October 26th: JosepGallart spoke about Ubuntu Maverick Meerkat and the release party on radio program (http://www.vilaweb.cat/linternauta) from Vilaweb. October 2nd - Premier Samedi (http://www.premier-samedi.org/) in Paris. This is a multi-distribution small install fest where around 60 people come to get help configuring and installing their Linux system. Addition of some more translations to team's wiki, translators busy both in lp and upstream, attempt begun to get closer to 100%. Community members participate in Ubuntu manual project. On Sunday 10th of October, we had a release party to celebrate Maverick Meerkat. We started off in Jimmy Chung's for a Chinese Buffet. Followed by a trip to the The Market Bar,. To add a bit of fun to the day we had a ubuntu quiz. Questions from the quiz are here (http://www.redbrick.dcu.ie/~tdr/blog/?p=39). A nice write up is here (http://www.lczajkowski.com/2010/10/10/compare-the-meerkat-at-the-market-bar-in-dublin-a-great-success/ ). Photos here (http://pix.ie/ubuntuie/album/390376/ ). And we had cake (http://www.lczajkowski.com/wp-content/uploads/2010/10/cake.jpg ) :). Regular Monthly IRC Meeting (https://wiki.ubuntu.com/IrishTeam/IRCMeetings/2010-10-20) was held at 8pm Irish time on Wednesday 20th October 2010. On Wednesday 27th of October the Dublin Ubuntu the Dublin (http://loco.ubuntu.com/events/team/506/detail/) took place at the new time of 19:00 in the Trinity Capital Hotel. On Thursday 28th of October the Limerick (http://loco.ubuntu.com/events/team/507/detail/)Ubuntu Hour took place in the Absolute Hotel at 18:00. We are going to unite the DB from the old and new forums. 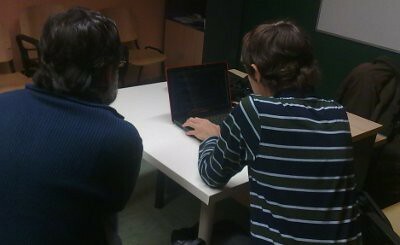 We are going to keep our cooperation with the Ilan Ramon center to help them with ubuntu and more stuff. We got a donation of 100 shekels (about 20 EURO). We released Ubuntu 10.10 Japanese Remix on 16th October. Team members, Fumihito Yoshida and Ikuya Awashiro wrote articles that features Ubuntu 10.10 for the November issue of Software Design. POSOL Ep.15 (http://podcast.softwarelibre.org.ni/?p=259) released by Team POSOL (Leandro Gomez, Jose Ernesto Davila, Norman Garcia and Marcelo Gutierrez). 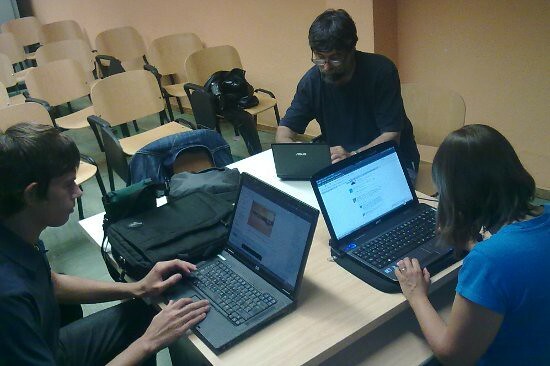 Ubuntu Open Week in Spanish (https://wiki.ubuntu.com/UbuntuOpenWeek_ES/openweekMaverickLog), team members partipipated in Ubuntu Open Week in Spanish Bash. October 23rd : Future collaboration with LUGoNS (Linux User Group of Novi Sad) detailed and improved. October month : Further work on translation of Ubuntu Manual continued, less then 150 lines left to go. 2 October: Ubuntu Hour in Stellenbosch (http://my-ubuntu-day.blogspot.com/2010/11/geeks-love-pizza-part-i-oct-ubuntu-hour.html) at Gino's Pizza place. +- 11 people. 10 October: Release parties, how to set up a mirror (http://tumbleweed.org.za/2010/10/09/release-party-ubuntu-mirror) CT-Stellenbosch (http://my-ubuntu-day.blogspot.com/search/label/Maverick) team add more links to pics here please? 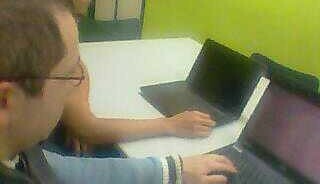 Gauteng (http://picasaweb.google.com/zerlgi/UbuntuMaverickReleaseEventAtLSD). 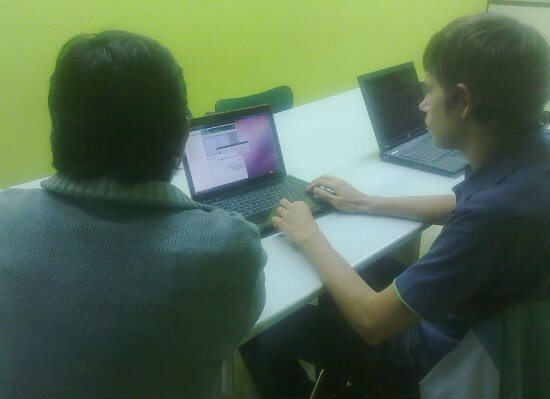 Participation and organisation of the "Ubuntu Day" at the Institute of Computer Science and Mathematics of Monastir. Team IRC meeting held on October 5th (https://wiki.ubuntu.com/FloridaTeam/Minutes/20101005). Team IRC meeting held on October 19th (https://wiki.ubuntu.com/FloridaTeam/Minutes/20101019). Regular Monthly IRC Meeting (https://wiki.ubuntu.com/VirginiaTeam/MeetingMinutes) was held at 8pm Eastern on October 5, 2010.
https://wiki.ubuntu.com/Accessibility got a new header this month. Many thanks to cprofitt (https://wiki.ubuntu.com/cprofitt ) of the Ubuntu Beginners Team. https://help.ubuntu.com/community/Accessibility/doc/StartGuide was updated for Ubuntu 10.04 and 10.10. Approved: 6 for, 0 against. 0 abstained. Approved: 6 for, 0 against, 0 abstained. Meeting cancelled because of lack of quorum. TOPIC: Ubuntu IRC name space over crowded and managed to different standards beyond that of the Ubuntu IRC principles. VOTE: clarify the process for op applications and remove the wiki page requirement. TOPIC: Creation of a #ubuntu-ops-backstage channel. Supported in theory, formal proposal desired, since the details will be the hard part. [ACTION] Matt to write up Quarterly Brainstorm review and send to TB mailing list. To be investigated by U1 team: introduce couchdb-1.0 package into lucid; what other packages need to be changed, what's the impact? Can quickly templates be updated in lucid to automatically add the application dir to sys.path? Non-quickly apps would have a requirement to set this up by themselves; is that practical? Allow .desktop files to be installed outside /opt. In Natty, we'll modify Quickly, cdbs, python-support, and related packages o support installation in /opt. For Maverick, accept that .pyc files and version symlinks won't be generated for Python libraries. For Maverick, ARB will perform manual package fixes on proposed applications, to install in /opt and load libraries from /opt. Binaries only in /opt (no exceptions for Maverick), will not be in $PATH. ochosi is working on updating the faenza icon theme to include all icons. ochosi is updating the bluebird theme to create greybird for possible inclusion in Natty Narwhal. Feel free to check it out @ http://shimmerproject.org/hg/bluebird-colors > greybird. A community meeting was held on 2010-11-18. It was decided that meetings will be held weekly through December on Thursdays. A community meeting was held on 2010-11-25. Minutes and logs from the meetings are available at https://wiki.ubuntu.com/Xubuntu/Meetings. Xubuntu needs to nominate and vote for a permanent Project Lead. Nominations are explained in https://lists.ubuntu.com/archives/xubuntu-devel/2010-November/007614.html. 26 November - 1Help=1Coffee (http://ubuntu-ast.org/?q=es/node/75) & μCourses (http://ubuntu-ast.org/?q=es/node/73). Picture (http://farm5.static.flickr.com/4132/5212206499_61dcded74e.jpg). 19 November - 1Help=1Coffee (http://ubuntu-ast.org/?q=es/node/75) & μCourses (http://ubuntu-ast.org/?q=es/node/73). Picture (http://farm6.static.flickr.com/5166/5212206497_28543c8783.jpg). 12 November - Install Party Ubuntu 10.10. Post before (http://ubuntu-ast.org/?q=es/node/175), Post after & Pictures (http://ubuntu-ast.org/?q=es/node/182). 5 November - 1Help=1Coffee (http://ubuntu-ast.org/?q=es/node/75) & μCourses (http://ubuntu-ast.org/?q=es/node/73). Picture (http://farm2.static.flickr.com/1314/5170474360_ab22d786c9.jpg). November Meeting (https://wiki.ubuntu.com/AustralianTeam/Meetings/2010november09) - Regular Team Meeting held 09th November, chaired by Ryan Macnish (nisshh) (https://wiki.ubuntu.com/RyanMacnish) and attended by 9 team members. Australian Localised Promotional Material (http://www.ubuntu.org.au/node/77) - Team Members MoLE (https://launchpad.net/~moleonthehill), blahdeblah (https://wiki.ubuntu.com/PaulGear) and head_victim (https://wiki.ubuntu.com/JaredNorris) worked together to localise a pamphlet from the SpreadUbuntu (http://spreadubuntu.org/) site to incorporate the Ubuntu-AU team (https://wiki.ubuntu.com/AustralianTeam) details. Ubuntu Advocacy @ LCA2011 (https://wiki.ubuntu.com/AustralianTeam/LCA2011Brisbane) - working towards Ubuntu-AU representation at the upcoming Linux.Conf.Au in January 2011. November 1st: LoCo meeting about last minute praparations for Maverick release party. November 5th: JosepGallart spoke about Ubuntu Maverick Meerkat and the release party on Catalan radio program l'Extraradi (http://www.extraradi.com/) from Com Ràdio. November 11th: JosepGallart spoke about Ubuntu Maverick Meerkat and the release party on a Balearic radio program from SOM Ràdio (http://www.som.cat/). November 16th: LoCo meeting about sensation from Maverick release party and thing to improve next party. November 20th: Maverick Release Party (http://loco.ubuntu.com/events/team/564/detail/) at Ca Revolta venue in València. The design of our logo (http://yoboy.fr/images/ubuntu-fr_logo2010.png) changes to be more like the new Ubuntu. Color variations and different positions will come in December. November 9th - IRC meeting in #ubuntu-fr-meeting channel on Freenode for the debriefing of the Ubuntu Party in Paris friday, an education oriented day. minutes (http://wiki.ubuntu-party.org/index.php/Paris10.10/CR091110). November 15th - Rendez-vous Ubuntu in Paris, it's a flash ubuntu hour organised in the afternoon for the evening, 6 people show up, not bad. Four new moderators chosen for the forum by the members. Congrats and keep up the good work! Ubuntistas, community's magazine, issue 10 is out! You can check it out (in Greek) here (http://ubuntistas.ubuntu-gr.org/index.php/archives/252). Congratulations to the members who man the magazine's team! Regular Monthly IRC Meeting (https://wiki.ubuntu.com/IrishTeam/IRCMeetings/2010-11-17) was held at 8pm Irish time on Wednesday 17th November 2010. On Wednesday 24th of November the Dublin (http://loco.ubuntu.com/events/team/527/detail/) Ubuntu Hour took place at 19:00 in the Trinity Capital Hotel. On Thursday 25th of November the Limerick (http://loco.ubuntu.com/events/team/526/detail/) Ubuntu Hour took place in the Absolute Hotel at 18:00. Members of our loco, are giving a hand running a Christmas quiz (http://christmastechiequiz2010.eventbrite.com/). next month. Planing is under way. Members of our loco made a more interactive facebook page, Ubuntu-ie (http://www.facebook.com/home.php?#!/pages/Ubuntu-ie/162490127121141). We held "Ubuntu Off-line Meeting Kansai 10.10" at October 30th. About 40 people attended. We held "Ubuntu 10.10 Release Party Tokyo" at November 6th. 68 people attended. POSOL Ep.16 (http://podcast.softwarelibre.org.ni/?p=259) released by Team POSOL (Leandro Gomez, Jose Ernesto Davila, Norman Garcia and Marcelo Gutierrez). Pizza Bash 1.11 (http://linuxtour.org/Pizza-Bash-1.11), team members attended Bash. "Digital Technoogy for civil society" workshop in Santiago de Chile. Norman Garcia (https://wiki.ubuntu.com/norm) gave a workshop about digital security for NGO´s and a talk about Ubuntu. POSOL Ep.17 (http://podcast.softwarelibre.org.ni/?p=298) released by Team POSOL (Leandro Gomez, Jose Ernesto Davila, Norman Garcia and Marcelo Gutierrez). Drupaleada Noviembre '10 (http://groups.drupal.org/node/108639), members attended drupaleada. Team Meeting held in #ubuntu-us-fl November 16th. It's official, 5% of Ubuntu Members are Women!